Buy Emerald Spa Parts Online for Less! 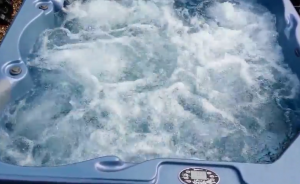 Emerald Spa Corporation, located in Michigan, is the manufacturer of several hot tub brands including Emerald Spas, Polynesian Spas and Great Lakes Spas. They are no longer making Emerald Spas, and have sold the hot tub molds to another manufacturer. However, you can still buy Emerald Spa parts online for less. Most manufacturers, Emerald Spas included, buy hot tub components from other manufacturers and put them together while building your spa. For instance, they may buy topside controls from Balboa Instruments, spa packs from Gecko, filters from Pleatco and spa pumps from Sta-Rite. 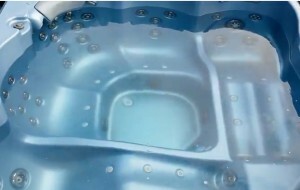 The manufacturers they buy from may change over time, so that is why a spa serial number or model and date of manufacture is important when trying to replace certain components on your hot tub. Since Emerald Spas made 3 different series, there are different parts and components for each. A smaller spa will generally have a smaller heater and fewer jets than a large spa. 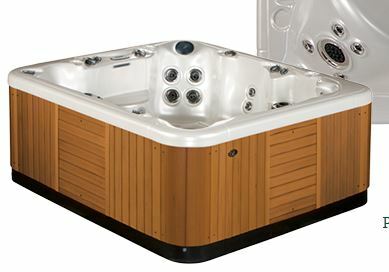 For instance, in the Emerald Spas high end Manor Luxury series, many components – like jets and topside controls, were upgraded. Emerald also made the mid-range Estate Deluxe series and the budget Chateau Classic Series. So the good news is – despite the spas not being made anymore – you can still find all the parts you need. The trick, however, is to find the exact replacement parts that fit your spa. Some components, like spa pumps and air blowers, have labels on the equipment that contain all of the important specs – like voltage, frame size and horsepower rating. While you do not necessarily have to buy the same brand of pump, you will need to match the specs for the equipment. Some parts, like jets or filters, may have a stamp within the plastic that identifies that part number. If you are not sure of what part to order, you will want to deal with an authorized Emerald Spa parts dealer that can help ensure you order the right replacement parts. For example, Hot Tub Outpost provides a search box at the top of each page of their website where you can enter a part number or part description. If you still can’t find what you are looking for, you can send a photo along with detailed description and measurements to info@HotTubOutpost.com, and one of their part technicians will find the Emerald Spa part you need. If you know your spa serial number (from warranty papers or as written inside the cabinet, then they can check via computer to see which components your spa has and send you the links to order. Regardless of the brand of spa you have, certain components take more wear and tear and need to be replaced more often. Filters generally need to be replaced each year and ozone generators every other year. Pillows tend to deteriorate as they are sitting in water, but deterioration will happen much more quickly if the water pH is not in balance. If the pH is too low, this acidity may also cause the plastic on your spa jet tabs to wear out more quickly, requiring replacement jets. To decrease the amount of repairs or replacement parts you need to buy, proper water and equipment maintenance is necessary. Nonetheless, some hot tub components will need replacement over time, and a good internet source is your best bet to save both time and money.